Watch the pop star perform for the first time in two years. Got A Buck? It’s Dollar Monday with the Lugnuts TONIGHT. Lugnuts baseball, $1 hot dogs, popcorn, ice cream sandwiches, beer, and pop. PLUS, the Bacon & Burbon Bash with the Ignite on Friday. Go hands-free when you win this Pioneer Smart Sync Smartphone Receiver from AUTO ELECTRONICS & ACCESSORIES. Horoscopes from last Friday's Mornings @ Large for the week ahead. Plus a Psychic Fun Fair in Lansing on May 11th. Halsey can pull off any hairstyle! Crossing our fingers that they can finally meet! Got A Buck? It's Dollar Monday with the Lugnuts TONIGHT.  2019 97.5 NOW FM is part of the PopCrush Network, Townsquare Media, Inc. All rights reserved.